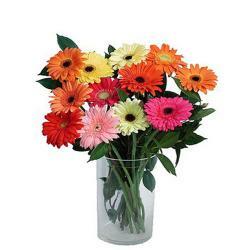 Here a wondrous surprise for your loved ones. 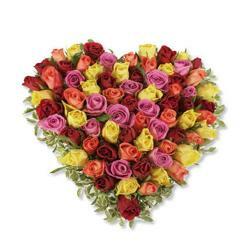 Entice them to the fullest by these pretty romantic roses disclosing your heartfelt feelings. 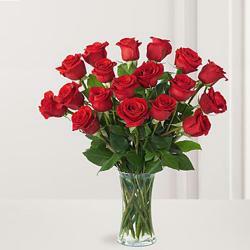 Red roses symbolically convey love and affection. 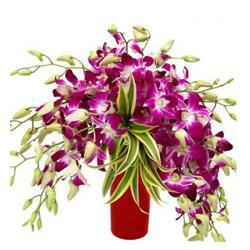 The beauty of a red rose flower lies in its color, petals and shape. The center of the rose flower is more interesting due to the lovely patterns in which the petals are formed. While most roses open petals completely, some partially open offering their own beauty. 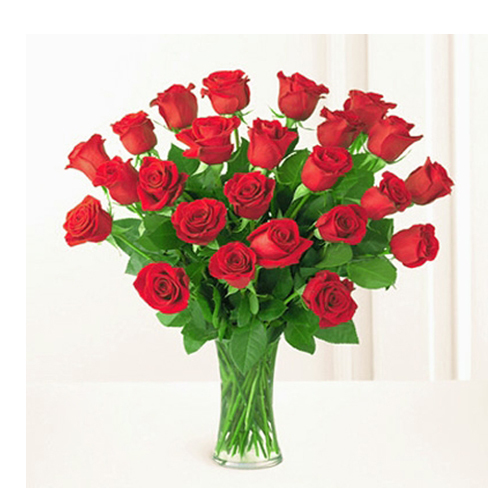 You can gift this lovely 24 Red Roses arranged in glass vase on any occasion like birthday, anniversary, wedding, valentines day, missing you, to say I love you, and many more.